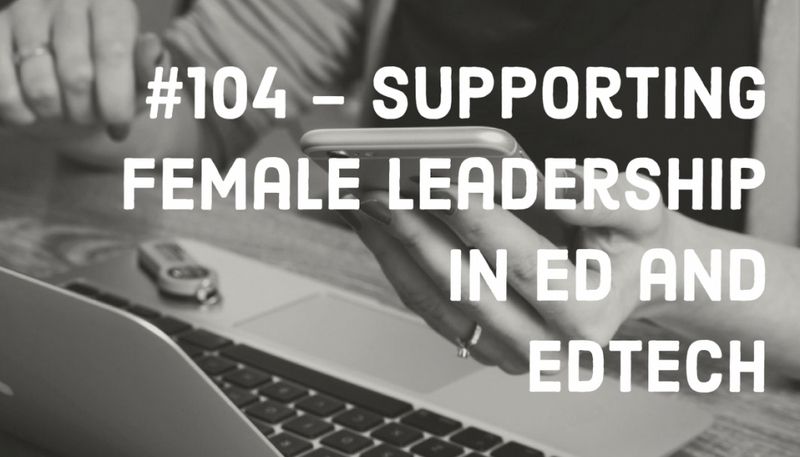 This week we are throwing back to a WomenEd event in November where we discussed the importance of female digital leadership both within the education and edtech sector alike. A government report on the school workforce in England, showed that the state education sector is 74% female, yet only 65% of headteachers are women. We know that whilst the teaching profession is dominated by women, the senior leadership teams are underrepresented. On the tech side of things, under 12% of partners at both accelerators and corporate venture firms are women. Only 17% of seed funding rounds go to female led startups, dropping to 12% for Venture Funding rounds. 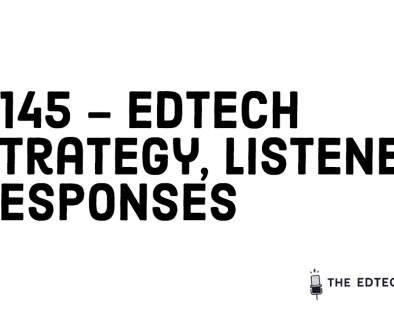 What does this mean for what types of edtech are invested in, how they are designed and who they are eventually used by? Are we heading for a situation like the advertising world of ten years ago where only 3% of creative directors determining advertising were women even though the chief purchasers and influencers within the household were women? Luckily there are many initiatives working to make a change and we focus on just a few in this episode to clarify who they are and what they are up to. I worked in a MAT where I had to drive an hour and a half to a 45 minute meeting and two hours home…why? We are paper free. We do our minutes and actions in the meeting. What you should be doing…is demanding of technology companies to give you the training in your school. 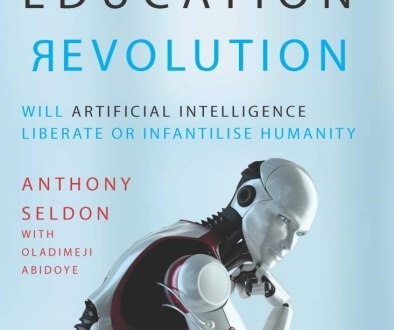 Are we preparing our young people for the world of tomorrow? I think a lot of this is to do with confidence. Sometimes I get that fraud feeling…but I don’t need to be that geek in the ivory tower. It’s saying ok, so tell me how to do it. Cool Initiatives is looking for innovative and creative education technology ideas, platforms and products, still in the early stages of development that embody the idea of the “Future of Education”. We’re excited by projects that help our schools function better, or those that drive new ways of teaching and learning. 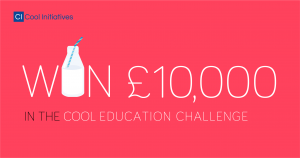 The Cool Initiatives Education Challenge will award a £10,000 cash prize for the best idea and £5,000 for the runner-up, plus £500 for the other finalists. In our ever-changing world, education matters more now than ever before. Better technology improves how our schools serve parents and students. The ways in which data is used are evolving; institutions are embracing new tools and platforms that help motivate students to learn and make teaching more engaging and interesting. 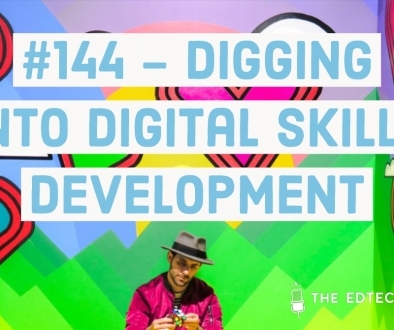 Behind the scenes, school offices are in need of digital transformation as learners, parents, and teachers have become accustomed to our hyper-connected world. We imagine a world where all learners and teachers can harness their own information, much the same way a FitBit or Apple Watch is capturing our health data to help us improve our wellbeing. Technological innovations have the same potential to enhance our education system, easing teachers’ administration burden, improving how teaching is designed and delivered, and advancing our understanding of how students acquire knowledge. In short, we want to allow teachers to do what they do best – teach. Whether you are in the early stages of developing your product, a teacher with a great idea or a student with a prototype, the Cool Initiatives team would like you to apply. For a chance to win the Cool Initiatives Education Challenge, fill out the short application form at www.coolinitiatives.com/competition and tell us about your edtech idea, platform or product. Our deadline for applications is 28 February 2018.